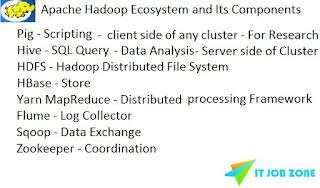 Check here our next blog on What is Hadoop EcoSystem? Want to learn Hadoop online? By expert trainers at www.ITJobZone.biz - Start your training today, contact us now. To most people big data is a question like is it a tool or a product? Or is big data only for big business? So what is Big Data? In simple terms it means to make sense of too much Data OR to use so much Data effectively OR make sense of all the garbage data. Today data which organization handles have reached unbelievable levels that traditional process and tools fails to process. Big Data (the amount of data) is ever growing and cannot be determined with respect to its size. Big Data can analyze Tera bytes of structured and unstructured data. How HDFS data warehouse stores all the multi-structured data and processed data at a pita bytes scale? Understand and master the concepts of the Hadoop framework and its deployment in a cluster environment. How to write complex MapReduce programs? Describe how to manipulate data using Sqoop and Flume? Learn best practices of high volume (Big Data) of structured and unstructured data storage in Hadoop and how to handle it? Explain how to model structured data as tables with impala and hive? Explain the difference between Hadoop MapReduce versus Pig Versus Hive? 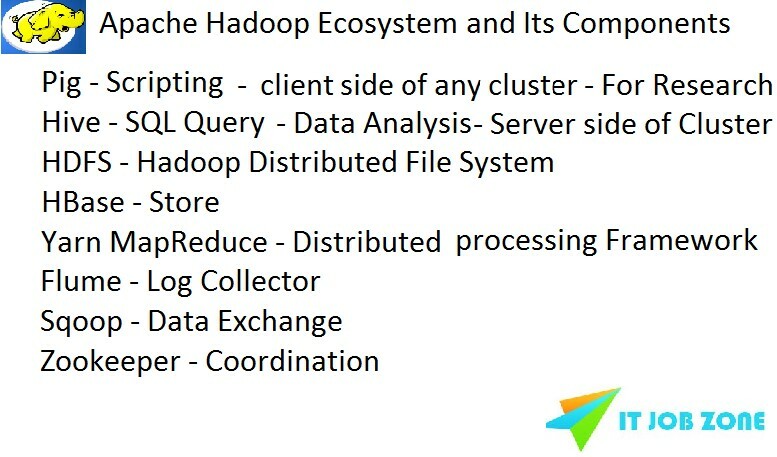 Hadoop is a framework that allows distributed processing of large data sets across clusters of commodity computers using simple programming models it is inspired by a technical document published by Google. With our Hadoop online training, you will learn to find solutions to above challenges.